•	An ambitious web-based single-window system ‘Parivesh’ will be rolled-out at state levels by January 15, bringing an end to the clearance nightmare for entrepreneurs. •	The automated system for submission, clearance and monitoring has already been implemented at the Central level. •	It is an environmental single window hub for Environment, Forest, Wildlife and CRZ clearances. •	This Single-Window Integrated Environmental Management System has been developed in pursuance of the spirit of ‘Digital India’ initiated by the Prime Minister and capturing the essence of Minimum Government and Maximum Governance. •	“PARIVESH” is a workflow based application, based on the concept of web architecture. It has been rolled out for online submission, monitoring and management of proposals submitted by Project Proponents to the Ministry of Environment, Forest and Climate Change (MOEFCC), as well as to the State Level Environmental Impact Assessment Authorities (SEIAA). •	It seeks to give various types of clearances (e.g. Environment, Forest, Wildlife and Coastal Regulation Zone Clearances) from Central, State and district-level authorities. •	The system has been designed, developed and hosted by the Ministry of Environment, Forest and Climate Change, with technical support from National Informatics Centre, (NIC). •	It provides single registration and single sign-in for all types of clearances (i.e. Environment, Forest, Wildlife and CRZ), unique-ID for all types of clearances required for a particular project and a single Window interface for the proponent to submit applications for getting all types of clearances (i.e. Environment, Forests, Wildlife and CRZ clearances). •	The Union Cabinet (chaired by Prime Minister) has approved the introduction of The Constitution (Scheduled Tribes) Order (Amendment) Bill, 2018 in the Parliament for certain amendments in the Constitution (Scheduled Tribes) Order, 1950 so as to modify the list of Scheduled Tribes (STs) of Arunachal Pradesh. 1. Deletion of ‘Abor’ in serial No. 1, as it is the same as ‘Adi’ in Serial No. 16. 2. Replace ‘Tai Khamti’ instead of ‘Khampti’ at serial No. 6. 1. Inclusion of Monpa, Memba, Sartang, Sajolong (Miji) in serial No. 9 in lieu of ‘Momba’. 2. Inclusion of ‘Nocte’, ‘Tangsa’, ‘Tutsa’, ‘Wancho’ in lieu of ‘Any Naga Tribes’ in serial No. 10 in list of Scheduled Tribes of Arunachal Pradesh. •	After the Bill becomes an Act, member of the communities newly listed will also be able to derive benefits meant for STs under the existing schemes of the Government. •	The Indian Panorama Film Festival is being organized from 4th to 13th January, 2019. •	The ten-day Festival is being organized by the Directorate of Film Festivals, Ministry of Information & Broadcasting at Siri Fort Auditorium II, New Delhi. •	The Festival will be inaugurated by Secretary, Ministry of I&B, Shri Amit Khare. •	All the films selected under the Indian Panorama section in the 49th International Film Festival of India will be screened during the Festival. •	The Ministry of Road Transport & Highways has recently launched the BhoomiRashi portal. •	In the past years, acquisition of land for the purpose of National Highway projects, payment of compensation to the land owners etc were done manually by physical movement of documents in the form of files. •	However, in that procedure some constraints viz. delay in issuing notification, errors in the land/area details etc were being faced. •	In order to overcome these issues, to cut short delays and avoid parking of public funds with the Competent Authority for Land Acquisition (CALA), Ministry has developed a web based Utility –BhoomiRashi to fully digitize and automate the entire process of land acquisition. •	With the operation of this Portal, the land acquisition process has been expedited significantly, become error-free and more transparent and the notifications at every stage are being processed on real time basis. 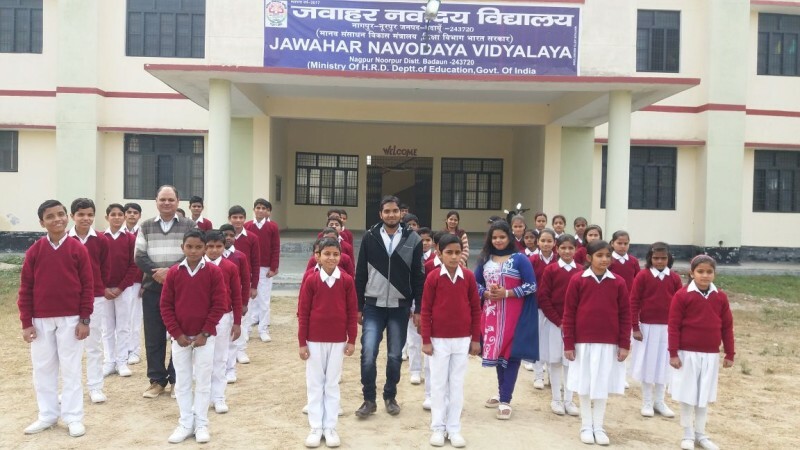 •	The Jawahar Navodaya Vidyalayas (JNVs) are fully residential schools managed and run by the Navodaya Vidyalaya Samiti, an autonomous organization under the Ministry of Human Resource Development. Recently, a news report had appeared in a leading newspaper regarding suicides by the students of JNVs over the last few years. •	Taking cognizance of the incidents of suicides by the students of JNVs, the Ministry of Human Resource Development has constituted a Task Force under the Chairmanship of Dr. Jitendra Nagpal, Psychiatrist. •	Besides, the Ministry has sent a proposal to engage two full time counselors (one male and one female) in each of the 630 functional JNVs to the Department of Expenditure for approval. •	Jawahar Navodaya Vidyalayas are a system of alternate schools for gifted students in India. They are run by Navodaya Vidyalaya Samiti, New Delhi, an autonomous organization under the Department of School Education and Literacy, Ministry of Human Resource Development, Government of India. •	It was founded by Rajiv Gandhi in 1985. It`s motto `Pragyanam Brahma`. •	The Department of Pharmaceuticals (DoP), Ministry of Chemicals and Fertilizers, along with Federation of Indian Chambers of Commerce & Industry (FICCI), is organising the 4th International Conference on Pharmaceutical & Medical Device sector on 18th – 19th February, 2019 in Bengaluru. •	The theme for India Pharma 2019 is ‘Enabling Quality Affordable Healthcare’ and that of India Medical Device 2019 is ‘Med-Tech India: Gearing up for Ayushman Bharat’. •	The 3rd edition of ‘India Pharma & India Medical Device 2018’ wasalso organized in Bangalore with theme ‘Affordable and Quality Healthcare’. •	The Lok Sabha passed Aadhaar and other laws (Amendment Bill) 2018 and Companies Amendment Bill 2018. •	The Aadhaar Bill seeks to amend the Aadhaar Act, 2016, the Indian Telegraph Act, 1885, and the Prevention of Money Laundering Act, 2002. •	It provides for voluntary sharing of the 12-digit identification number for obtaining new mobile phone connections and opening bank accounts. •	The government move comes in the wake of the Supreme Court’s judgment. •	The Apex court in September last year struck down Section 57 of the Aadhaar Act that made seeding of the biometric ID with SIMs and bank accounts mandatory, stating that it had no legal backing. •	The Companies (Amendment), Bill, 2018 replaces the Ordinance promulgated in November last year. The Bill amends several provisions in the Companies Act, 2013 related to penalties. It also prescribes strong action against non-compliant companies. •	Replying to a debate on the bill in the Lok Sabha, Minister of State for Corporate Affairs P P Chaudhary said, the bill has been brought with a view to declog the Special Courts and National Company Law Tribunal, NCLT. •	He said, it will also reduce the burden on NCLT and Special Courts and improve ease of doing business in the country. •	The Lok Sabha has passed the New Delhi international Arbitration Centre, Bill, 2018 which seeks to provide for the establishment and incorporation of New Delhi International Arbitration Centre for creating an independent and autonomous regime for institutionalised arbitration and for acquisition and transfer of undertakings of the International Centre of Alternative Resolution. •	Law Minister Ravi Shankar Prasad said, the government wants to develop this Centre into a world-class arbitration centre. 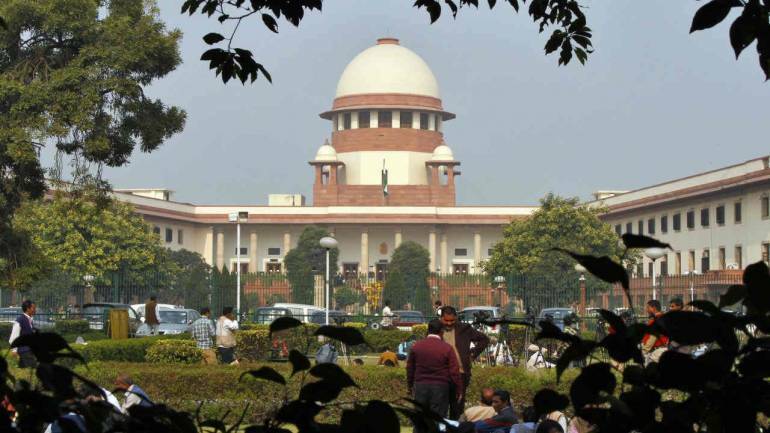 •	The Supreme Court deferred the hearing in the Ram Janmabhoomi-Babri Masjid title dispute case to January 10. •	The matter was listed before a bench comprising Chief Justice Ranjan Gogoi and Justice SK Kaul. •	The apex court, on 29th October, had fixed the matter for the first week of January before an appropriate bench, to decide the schedule of hearing. Various Hindu organisations have been demanding an ordinance on early construction of Ram temple at the disputed site. •	Prime Minister Narendra Modi had suggested any decision on an ordinance on Ram temple in Ayodhya can happen only after the completion of the judicial process. 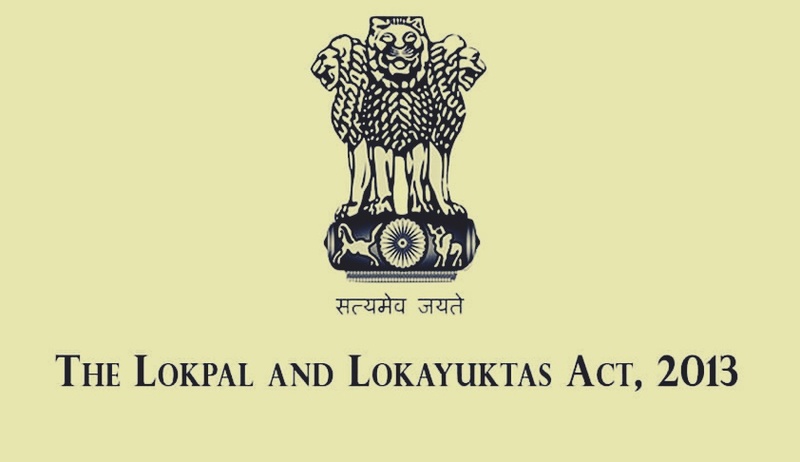 •	The Supreme Court directed the Centre to place on affidavit steps taken since September last year to set up a search committee for the Lokpal. •	The apex court asked Attorney General K K Venugopal to file the affidavit on the matter by January 17. •	A bench comprising Chief Justice Ranjan Gogoi and Justice S K Kaul had passed this order. •	The Union Cabinet approved the proposed amendments to the Trade Unions Act 1926, aimed at giving statutory backing to central and state-level trade unions. •	The proposed Bill, likely be introduced in the ongoing winter session of Parliament, has provisions for recognising central trade unions by various government departments, at both the central and state levels. There are provisions empowering the Centre to frame rules for recognising unions and resolving disputes involving them. •	Unions are not recognised under the Trade Unions Act, originally enacted in 1926. The office of the chief central labour commissioner conducts a verification drive of the membership, based on which the labour and employment ministry gives them the status of central trade unions. •	However, there is no statutory provision for either the recognition of a trade union in industry, or the establishment or recognition of a union at the central and state level. •	Prime Minister Narendra Modi will visit Jalandhar in Punjab to inaugurate the 106th edition of Indian Science Congress-2019. •	In keeping with the Prime Minister’s vision to give a boost to the spirit of Science, Technology and Innovation across the country, it will be the fifth Indian Science Congress to be addressed by Prime Minister Modi since he assumed office. •	Indian Science Congress Association (ISCA) is a premier scientific organisation of India with headquarters at Kolkata, West Bengal. The association started in the year 1914 in Kolkata and it meets annually in the first week of January. It has a membership of more than 30,000 scientists. •	The first meeting of the congress was held from 15–17 January 1914 at the premises of the Asiatic Society, Calcutta. Honorable justice Sir Ashutosh Mukherjee, the then Vice Chancellor of the University of Calcutta presided over the Congress. One hundred and five scientists from different parts of India and abroad attended it. Altogether 35 papers under 6 different sections, namely Botany, Chemistry, Ethnography, Geology, Physics and Zoology were presented. 5. To do and perform any or all other acts, matters and things as are conductive to, or incidental to, or necessary for, the above objects. •	Two women in their 40s visited Sabarimala Ayyappa temple in Kerala and got darshan of the Lord. •	The two women walked into the temple before daybreak, becoming the first to do so since the Supreme Court ordered the end of ban on women between 10 to 50 years of age entering the temple. •	Two women, Bindu from Kozhikode and Kanakadurga from Malappuram visited Lord Ayyappaa temple early morning today. 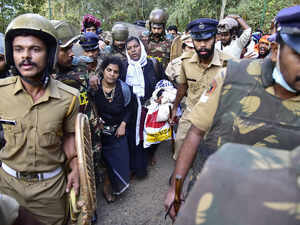 •	Though they tried to trek Sabarimala a few days back, they were forcefully taken back due to intense protests from the devotees. •	Meanwhile, Kerala Chief minister Pinarayi Vijayan while confirming the entry of women said to implement the supreme court verdict the government is bound to give protection to the devotees. •	Meanwhile, BJP started statewide protests against the entry of two women. BJP state president P S Sreedharan Pillai said the party will strongly protest against this. •	India`s fastest Train 18 will soon start its services between Delhi and Varanasi. 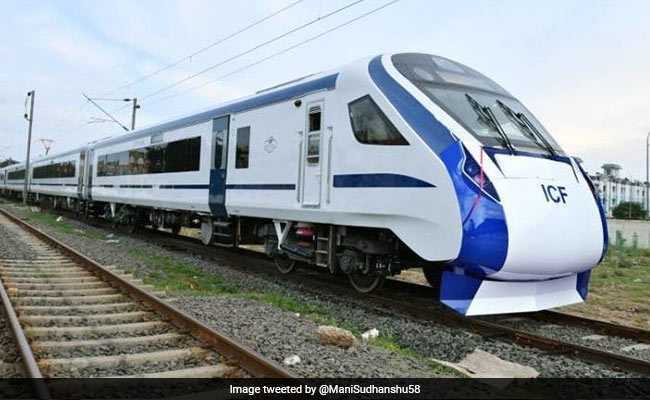 •	The train which will run at a speed of 160 kilometre per hour will reduce the journey time between the two cities from the present 11 hours and 30 minutes to 8 hours. •	Talking to reporters in New Delhi, Railway Minister Piyush Goyal said, the train will stop at Kanpur and Allahabad during its journey. •	World-class facilities and wifi enabled services will be provided. •	The Government of India has initiated the Capacity Building Programme for Elected Women Representatives (EWRs) of Panchayati Raj Institutions. •	Objective of the Capacity Building Programme – to empower EWRs by developing leadership capacities so that they serve as catalysts for social change and function as peer facilitators in the field, become vocal for their rights and participate effectively in the governance processes. •	It is a significant endeavour in creating a forum for EWRs to understand their roles and responsibilities in a more prolific manner. •	Although it is the first step towards harnessing the full potential of EWRs, but this is envisioned as a continuous process in order to instil confidence, courage, conviction, motivation and above all providing hand-holding support to EWRs for mainstreaming them in the governance process. •	State Governments have been actively involved in imparting these trainings. Mainly, State Institute of Rural Developments (SIRDs) and State Resource Centers (SRCs) are actively collaborating with Ministry of Women and Child Development in conducting training programmes across the States. •	This involves collaborating with institutions of the Departments of Panchayati Raj, Agriculture, Women & Child Development, Rural Development, etc. •	Prime Minister Narendra Modi announced the renaming of three islands of Andaman and Nicobar on the occasion of 75th anniversary of Tricolour hoisting by Netaji Subhas Chandra Bose in Port Blair. •	The Ross Island has been renamed as Netaji Subhas Chandra Bose Dweep, the Neil Island would now be known as Shaheed Dweep and the Havelock Island as Swaraj Dweep. •	Mr Modi also released a commemorative stamp, its first-day cover and a 75 rupees coin on this special day. He also announced setting up of a deemed university after Netaji Bose. •	Mr Modi also dedicated the 150 feet high Flag Mast at South Point in Port Blair commemorating the historic event of the hoisting of first Tricolor on Indian soil by Netaji Subhash Chandra Bose in Port Blair on Dec 30, 1943. •	Prime Minister Narendra Modi announced and inaugurated a series of projects in energy, tourism, connectivity and employment sectors for Andaman and Nicobar Islands. •	This includes 7 Megawatt solar power plant, Solar Village, launching of State Wide Network, Optical Fiber Cable connecting Chennai and Port Blair, plasma regasification plant, upgradation of Ayush and Garacharma hospitals, 50 MW LNG Power Plant, introduction of 20 electric cars, release of book on start-up policy, Lakshadweep and Andaman and Nicobar Island Industrial Development scheme and Chatham Bambooflat bridge. •	During his visit to Car Nicobar, the Prime Minister laid wreath at the Tsunami Memorial and visited the Tsunami Memorial Museum. He inaugurated the ITI Arong and interacted with Members of Tribal Council. •	Geographical Indications (GIs) are registered as per the provisions of the Geographical Indications of Goods (Registration & Protection) Act, 1999. As on 24.12.2018, 330 GIs have been registered. •	The Government has undertaken several steps for promotion of Indian products registered as GIs like participation in trade fairs and other events to promote and create awareness on GIs and increase the sales of GI products, promotion of GIs through social media, involving State governments and Union Territory administration and other relevant organizations for facilitation of GI producers. •	Authorized Users are registered as per the provisions of Geographical Indications of Goods (Registration & Protection) Act, 1999. Till 30.11.2018, the GI Registry, Chennai has received 4850 GI authorized user applications, out of which 3607 GI authorized users have been registered. The remaining 1243 pending applications have already been examined and report issued to the applicants to remedy deficiencies, which include providing supporting documents and complete applicant details. •	In order to spread awareness for registration of GI authorised users, awareness programmes are conducted for concerned stakeholders at various places in the country. •	The processing of an application for registering a geographical indication for any goods involves issuing of a preliminary examination report to remedy deficiencies in the application, if any. •	Thereafter, a consultative group comprising of subject experts is constituted to evaluate and ascertain the correctness of the particulars furnished in the application and its supporting documents. •	Based on the recommendations by the consultative group, an examination report is issued to the applicant. After necessary compliances to conditions and removal of objections, if any, the application is accepted and published for public to file opposition, if any, within the stipulated period. If no opposition is received, or if it is disposed off in favour of the applicant, the GI is registered. •	In the case of an application for registration as authorized user, it is examined and deficiencies, if any, communicated to the applicant. Once these are removed, the application is registered. •	The onus of removing the deficiencies and complying with the conditions lies with the applicant, the time taken for which may delay the disposal of the application. •	The online system of filing GI applications is operational since March, 2015. However, examination of the application is done offline. There is no proposal to make the system of examination online.